Boston Consulting Group recently released a report which says that Consumer Confidence Is Retreating in Many Parts of the Developed World. Nearly 90 Percent of Respondents in developed countries say they plan to maintain or reduce spending—but China and India Are Notable Exceptions. BCG’s 2011 global report on consumer sentiment, Navigating the New Consumer Realities states that the negative emotional responses (which are chiefly due to the economic slowdown) are directly affecting spending behavior. To quote the report- Consumers are trading down and purchasing more private-label products because they feel it’s important to get a good deal—not necessarily because they can’t afford the price.Trading up has shifted from conspicuous to ‘conscientious’ consumption. 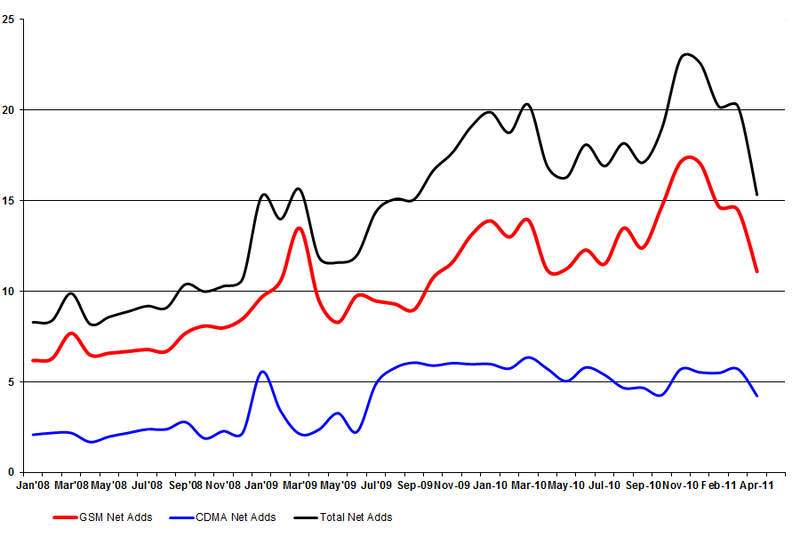 Now then, consumer buying preferences are shifting to bargains and thus, this should be music to the daily deal makers. If consumers start flocking the daily deal websites such as Groupon, Snapdeal, LivingSocial and so on, traffic to these sites is going to multiply. Is that good or is it bad? On a immediate basis it is better than good, Great in-fact for the daily deal businesses. More traffic, more revenues, more businesses signing in and the general doubt on the nature and sustainability of this business model will be laid to rest. This will be brand antagonistic. However revenues, profits and footfalls aside, the daily deals businesses will need to perfect their back end business models and deals with sellers and businesses. Currently that side of the business is less than great! Inability to put traffic and back-end mechanisms in sync could end up in a lot of consumer and partner dissatisfaction. As is said, “there is no better time to build a quality business than a economic downturn”, the daily deal websites will have to master the art of riding this wave during the downturn. 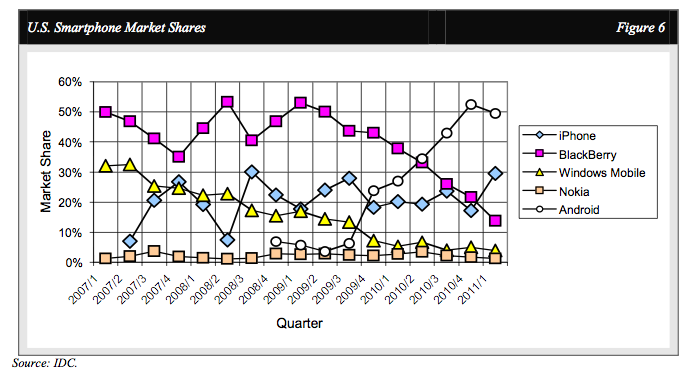 In the long run, Brands will build back the “trading up” factor and their relevance. However, daily deals and bargains will hold a part of the flea bargain market for categories which are less personal and relevant to consumers. While Symbian was the burning platform, Why is Elop burning the Meego platform? Two years after Nokia and Intel tom-tomed a ground braking tie-up for new devices and platforms, the first baby of the marriage is born: The N9. For many who were fatigued by the Nokia Symbian (so called) smartphones, this was a good beginning, except that this is the end. Stephen Elop has pronounced that Nokia will not be supporting Meego development going forward. Given that the Meego powered N9 is one of the best devices that have come out of Nokia in the last year and two, and all encouraging responses, Nokia’s decision to pull the plug on Meego is baffling. Tomi Ahonnen, one of the greatest critics of Stephen Elop has had a few strong views about Nokia and its American CEO often culminating into (almost) personal attacks. Elop’s latest pre-disposition about Microsoft and WP is indeed a little queer. For want of anything better, he looks like Microsoft’s commissioner in charge of converting all of Nokia to Windows. How else could one miss the reading on N9 and Meego? It isnt about deserting one platform for another, it is about a viable alternative. By moving away from the Meego, Nokia is dangerously putting all its stakes on WP… an extremely heavy bet! WP as a platform has a few deficiencies yet which were far better settled by the Symbian and Meego. The current spate of actions from Elop favour Microsoft more than they do for Nokia. Nokia’s inconsistency with Intel and consistency with Microsoft may be read to be a new found “focus” on the platforms but one must take into account that a Linux based Meego is possibly more acceptable to developers who are already developing on the Android platform than Microsoft WP which is not the de-facto standard in the industry.Microsoft WP7 platform has the smallest number of apps and its app store is the least-used app store of the major internationally launched smartphone platforms. Nokia’s Symbian has traditionally had a migration path and Nokia even built a migration from Symbian to MeeGo via its developer tools called Qt. Thus any apps now developed for Symbian would also run on MeeGo. The developers of Symbian were particularly pleased with this extra effort that Nokia had invested in its ecosystem. WP7 operating system did not have a migration path from Symbian. WP did not have a migration path to or from MeeGo. It did not even have a migration path from the previous Microsoft OS, Windows Mobile. The previous Microsoft developers were particularly upset that Microsoft refused to support them in migration.Microsoft’s WP7 is not compatible with Android. Its not even compatible with Microsof’t’s own previous OS, Windows Mobile. 1. Mobile subscribers in India increased to 861.48 Million at the end of April 2011 from 846.32 Million at the end of March 2011.There are signs of the subscriber growth numbers slowing down over the highs of 22 million in November/December 2010. 2. 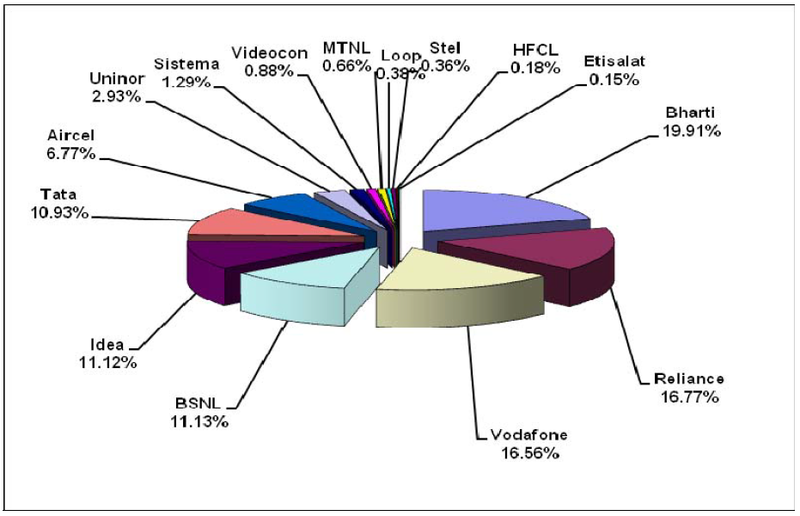 Overall Tele-density in India reaches to 72.08% at the end of April,2011 from 70.43% of the previous month. The 70% tele-density point should now see a de-celeration of growth and the big numbers now would come for a higher CAPEX in establishing Distribution and Reach. The overall wireless Tele-density in India has reached 69.19%. 3. The overall Urban teledensity has increased from 157.32% to 159.63% and Rural teledensity increased from 33.79% to 34.47%. Such low ARPUs does not even cover the cost of acquiring a customer, which is Rs 300-400. These numbers foretell unviable operations and it will be very difficult for Telcos to recover their costs. 5. With Teledensity at 70% and Urban teledensity at 150% and 1 paise-per-sec call rates, it is increasingly clear that operators will have to leverage data services and VAS as revenue streams in the future over Voice. 6. More importantly it is the overall quality of service and VAS, content, eco-system partnerships that are going to be the ace for greater profit realization. 7. Costs are going to be chief concern in trying to access the rural 66% teledensity. There is a scope of innovation here in terms of distribution and services. Cracking the rural hinterland is hot going to happen by the same strokes that have been used so far most successfully to get to the 70% teledensity. 8. The Urban wireless teledensity has increased from 150.06 to 152.41 and Rural teledensity increased from 32.75 to 33.44. 8. Less than 5 million subscribers (1% subscribers) have opted for MNP in 6 months. What is evident is like elsewhere, GSM is the more preferred over CDMA as an option for Cellular subscribers. 10. Active wireless subscribers in VLR in April- 2011 is 583.22 million.30% of the subscribers in India are “ghosts” and that raises concern on the issue of 30% dead numbers. 11. 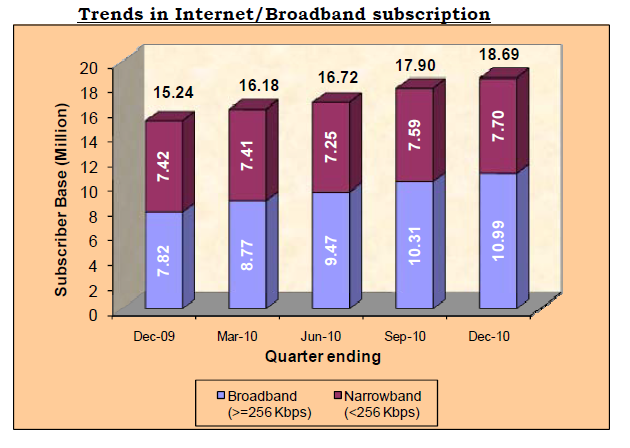 Broadband subscription reaches to 12.01 Million in April-2011 from 11.87 Million in March-2011. Broadband refers to 256KBPS + speeds which by itself is a very low benchmark for data access as compared to other regions globally.41% of Internet connectivity in India is Broadband. QE Sep-10 to 360 in QE Dec-10. The Outgoing MOUs (174) declined by 1.61% and Incoming MOUs (186) by 2.92%. 14. The Vista of falling ARPUs and MOUs doesnot bode well for the Indian Telecom industry and places an onus on Telcos to integrate a larger basket of Telecom services to entice the customer to spend more. Continued from earlier post: Is the GroupOn model sustainable? The stats are telling: Kunal Bahl and Rohit Bansal, founders of Snapdeal.com which is barely an year old already have 5 million subscribers as on June 2011. They are targetting Rs100 crore in revenues in 2011 and plan on making Rs300 crore in 2012.Kunal aims at Rs.500 crore by 2014. Snapdeal, a poster boy for the runaway success of daily-deal websites, gets local merchants to offer “deep discounts” on products and services to the value-conscious Indian consumers. For merchants, this offers an affordable route to promote brand and an easy way to sell the so-called ‘distress-inventory’ — such as empty seats on a last-minute flight. Snapdeal, a poster boy for the runaway success of daily-deal websites, gets local merchants to offer “deep discounts” on products and services to the value-conscious Indian consumers. For merchants, this offers an affordable route to promote brand and an easy way to sell the so-called ‘distress-inventory’ — such as empty seats on a last-minute flight.While there is little doubt about degree of initial success, questions remain about the long-term sustainability of the underlying business model of websites like Snapdeal, modelled after Groupon, which pioneered the concept in US. To understand the efficacy of the Daily deals business models, one must study the US markets where Google, GroupOn, Facebook and LivingSocial have been working at businesses and consumers on this model. scheduling of deals are based on factors that optimize the deal for Groupon, not the merchant. Thus traffic walkins could be unmanageable at the merchant’s end at a point of time when they leats require it. 3.Daily customers are really deal hunters as against being loyalists. Thus the traffic keeps moving around. 4.Merchants make money when customers buy more and not just limit themselves to deal value. If customers only use deal values, the ability to cross sell to higher footfall traffic dies. This is an opportunity for the merchant to make higher margins on related products. However, daily deal customers seldom move beyond the deal value. 5.Operational glitches like lack of training. 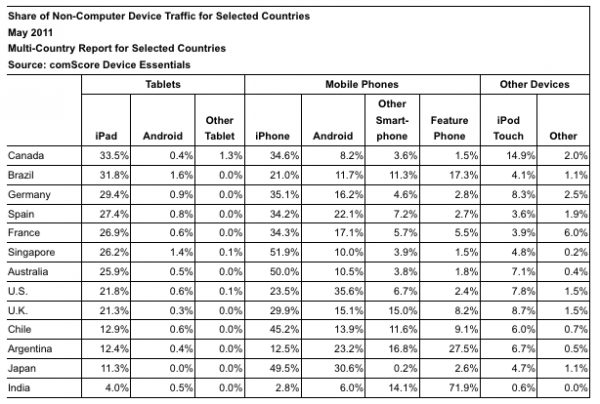 Smartphones and Tablets is where the big big competition is: Apple versus Android. The Closed and walled versus the Open. 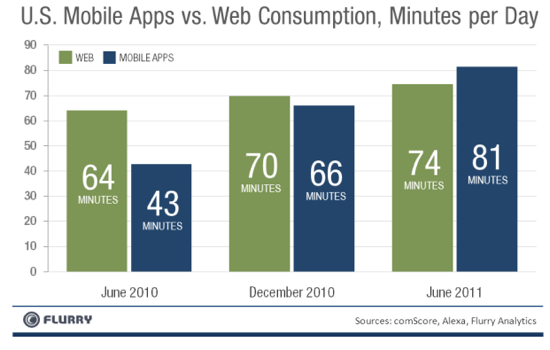 And yet, like the smartphone platform, Android is far from getting its act right. The greatest strength of the Android platform has been its “open-ness”(Debates around Honeycomb aside). This has allowed ODMs to work on the platform and position their devices and massify the platform. That was the primary reason for the rise of Android in the smartphones category from a non-entity to 36% whereabouts by Q2,2011. But the open-ness is perhaps the Achilles heal for Android leading to problems such as Fragmentation of the platform and lack of a uniform user experience. While Android managed to tide over the Smartphone markets even with fragmenting OS, the case for Android tablets will be markedly different. 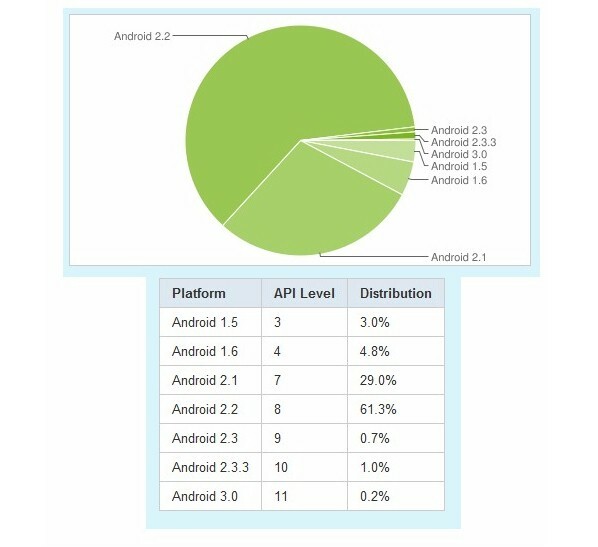 The patchwork that is Android is not consistent enough to allow the platform to compete adequately with the competition. Google has set out to be loose in its control over Android as a platform, and that looseness is beginning to cost tablet makers millions, perhaps billions of dollars. The problem is there is no real Android for tablets, just a framework for OEMs to change at will to try and compete with their products. The problem is they are not competing with other platforms, they end up competing with other Android tablet makers and diluting the ability of the platform to make a run at Apple’s iPad. Because it is symptomatic of the problem with Android in general, that the platform is totally fragmented due to no one company taking ownership of it as a platform. Google certainly doesn’t, and OEMs can’t. The end result is that Android tablet makers end up not competing with the iPad, the logical target, but rather with each other. Each Android tablet comes to market with different hardware (most of which actually works), and software that is different from that which ships with Android proper. 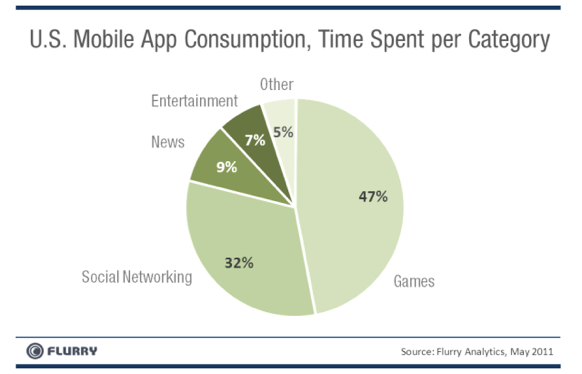 Consumers have no chance to make sense of this, so there will never be a uniform perception of the platform. Perception of a product is hugely important, and unless Google does something it will never catch consumer’s attention uniformly as a platform must do. Motorola, Samsung, Sony Ericsson and many more OEMs are working on their versions of the Android tablets. Amazon is also speaking of its own Android tablet and chances are that Amazon will also produce its own spin atop the Android platform. Amazon will add a series of pieces—Cloud Drive, streaming video services and an Android app market—that play into the tablet strategy. It is expected that Amazon might price its tablet competitively and play upon its advantage of content to make money which could further lead to price-erosion. Amazon’s tablet will use the Kindle model quite effectively. It’s not the device that matters here. It’s the store. Other OEMs in that case will play match-up which is thus going to effectively lower margins for OEMs. 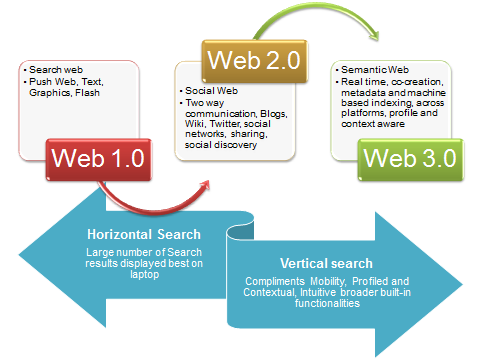 That adds to the complexity, un-uniformity, price-erosion and fragmentation of the platform. The volumes may increase as a result of OEMs clamouring upto Android but the consistency would be bad missing and that is going to add to the woes of Android, the Tablet platform.